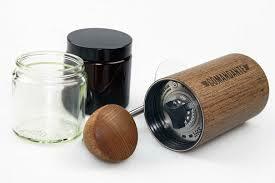 Click the button below to add the Comandante C40 Hand Grinder - Wenge to your wish list. The C40 (MK3) is fitted with an advanced burr set which is the result of dedicated research and development, refining the geometry and structure of the Nitro Blade the Comandante delivers the grind performance you are looking for. Whether you're brewing Turkish coffee or French Press, do it in style with one versatile, easily adjustable unit! and strong with excellent edge retention and wear resistance. Nitro Blade is also extra non- corrosive and shows an excellent cut performance. 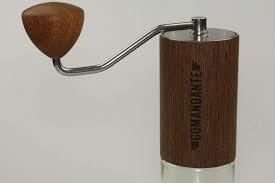 I don't even use my Rocky grinder anymore since buying the Comandante. The grind consistency and quality is amazing, with super easy adjustability. I regularly switch between espresso and aeropress without any difficulty. My espresso extraction has been better than ever, consistently getting a super even extraction thanks to the grind consistency and zero clumping. Would recommend the comandante and the customer service at Di Bartoli without a problem.